Home Education Technology What Is Photocopier ? History, Working Of Photocopier. What Is Photocopier ? History, Working Of Photocopier. A machine which is used to do a photocopy of a document, page etc. is known as Photocopier. 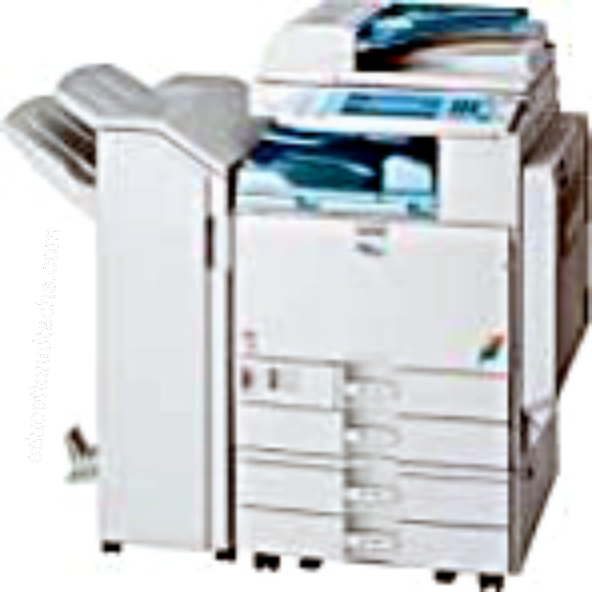 Hence a photocopier can define as a machine that can make paper copies of documents quickly and cheaply. The technology which is currently mostly using by model photocopiers is known as Xerography. In this technology, photocopier follows a dry copying process with the help of toner and heat. Other output technologies can be also used by photocopiers such as ink-jet. Inkjet technology tends to be used more in the lower end home-use copiers. The technology is cheap to purchase, although the consumables (ink) costs are high in terms of cost per page. The photocopier is invented by the Chester Carlson, was originally a patent attorney, as well as a part-time researcher and inventor. During their, job Carlson require a large number of copies of their document which is an irritating and painful process for him. So he motivated him to conduct experiments with photoconductivity. To performing his experiment Carlson used his kitchen. After performing experiments many at last i1938, he applied for a patent for the process. He made the first photocopy using a zinc plate covered with sulfur. The words "10-22-38 Astoria" were written on a microscope slide, which was placed on top of more sulfur and under a bright light. After the slide was removed, a mirror image of the words remained. Carlson tried to sell his invention to some companies but failed because the process was still underdeveloped. At the time, multiple copies were most commonly made at the point of document origination, using carbon paper or manual duplicating machines, and people did not see the need for an electronic machine. Between 1939 and 1944, Carlson was turned down by over 20 companies, including IBM and General Electric—neither of which believed there was a significant market for copiers. The Battelle Memorial Institute, which was a non-profit organization in Columbus, Ohio, in 1944, performed a deal with Carlson to refine his new process. This process took the duration of five years, the institute conducted experiments to improve the process of electrophotography. Haloid Corporation, who was a small New York-based manufacturer and seller of photographic paper, in 1947 approached Battelle to obtain a license to develop and market a copying machine based on this technology. Haloid felt that the word "electrophotography" was too complicated and did not have good recall value. After consulting a professor of classical language at Ohio State University, Haloid and Carlson changed the name of the process to "xerography," which was derived from Greek words that meant "dry writing." Haloid called the new copier machines "Xerox Machines" and, in 1948, the word "Xerox" was trademarked. Haloid eventually changed its name to Xerox Corporation. Related Article:- Photometer: Principal, Working, Types And Application Of Photometer. In 1949, Xerox Corporation introduced the first xerographic copier called the Model A. Xerox became so successful that, in North America, photocopying came to be popularly known as "xeroxing." Xerox has actively fought to prevent "Xerox" from becoming a genericized trademark. While the word "Xerox" has appeared in some dictionaries as a synonym for photocopying, Xerox Corporation typically requests that such entries be modified and that people do not use the term "Xerox" in this way. Some languages include hybrid terms, such as the widely used Polish term kserokopia ("xerocopy"), even though relatively few photocopiers are of the Xerox brand. During the 1960s and through the 1980s, Savin Corporation developed and sold a line of liquid-toner copiers that implemented technology based on patents held by the company. A light-sensitive surface is used Inside every photocopier and laser printer is called a photoreceptor. It consists of a thin layer of photoconductive material that is applied to a flexible belt or drum. The photoreceptor is insulating in the dark but becomes conducting when it is exposed to light. It is charged in the dark by applying a high DC voltage to adjacent wires, which produces an intense electric field near the wires that causes the air molecules to ionize. Ions of the same polarity as the voltage on the wires deposit on the photoreceptor's surface, creating an electric field across it. Parts Of Calculator. How Calculator Work? The pigmented powder used to develop the image is called toner. Toner particles made of colorant and plastic resin have precisely controlled electrostatic properties and range from about five to 10 micrometers in diameter. They are mixed with and charged by magnetized carrier beads that transport them to the development zone. The particles are charged by the phenomenon of triboelectricity (often referred to as static electricity). The electric field associated with the charge pattern of the image on the photoreceptor exerts an electrostatic force on the charged toner, which adheres to the image. A color document is formed by a printer with four separate xerographic units that create and develop separate cyan, magenta, yellow and black images. The superposition of these powder images produces full-color documents. The powder image is transferred from the photoreceptor onto paper by bringing the paper in contact with the toner and then applying a charge with a polarity opposite to that of the toner. The charge must be strong enough to overcome the powder¿s adhesion to the photoreceptor. A second precisely controlled charge releases the paper, now containing the image, from the photoreceptor. The toner is melted and bonded to the paper by heat and pressure rollers. Toner transfer from the photoreceptor to the paper is not 100 percent efficient, and residual toner must be removed from the photoreceptor before the next print cycle. Most medium- and high-speed copiers and printers accomplish this with a rotating brush cleaner.